Hundreds of people at the Portland Rescue Mission received a simple, but invaluable gift Wednesday thanks to a local company. Protalus Insoles, based in West Linn, teamed up with the non-profit "It's From The Sole" for a shoe donation drive. 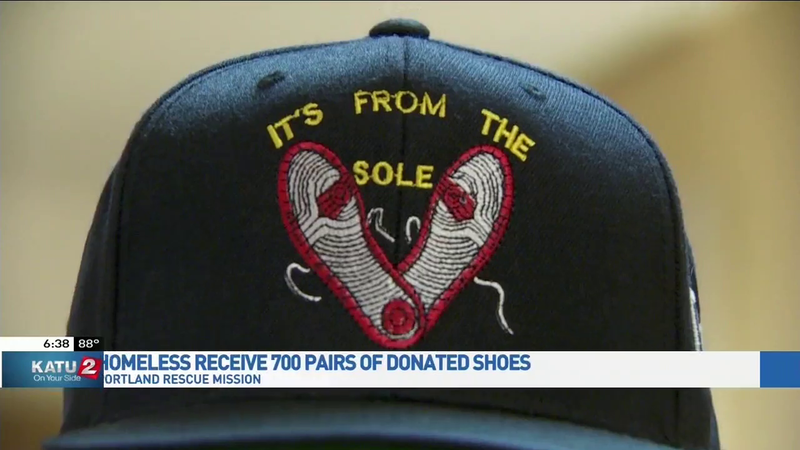 They cleaned up each pair of shoes, added new insoles and donated about 700 pairs to the Portland Rescue Mission. "It's hard to find a good pair of shoes, you know, for us people that are out here trying to survive... I'm very happy for this place," one of the recipients said.